Virtual reality is the next big thing in gaming. Whether you believe it or not is besides the point, but over the next six months gaming is going to flourish or be forced to endure the arrival or not one, but three different takes on virtual reality – courtesy of Sony, Oculus and Valve/HTC. Although I got my face on with the former two at E3, it was Valve’s VR demo yesterday that finally convinced me of one thing. Virtual Reality is much better as an experience than an accessory to games, and Valve is hitting all the right notes here. 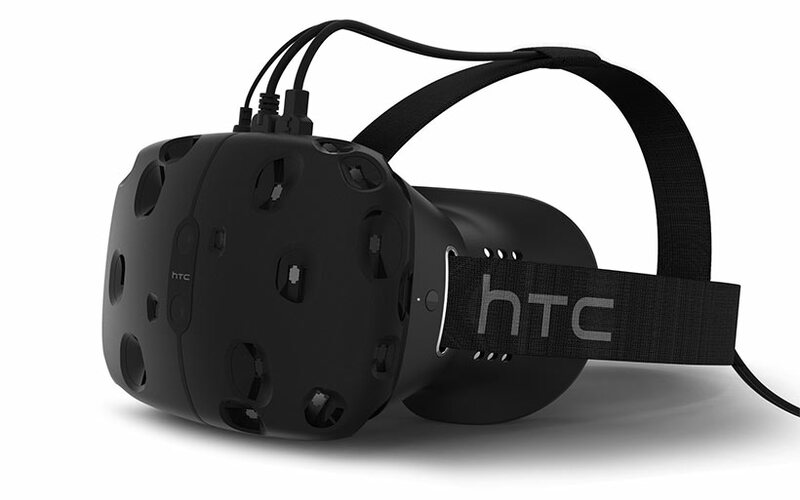 In collaboration with smartphone makers HTC (the most surprising news of the year), Valve has crafted a virtual reality system that truly transforms the space around you. Stepping into a relatively small room, I noticed two green sensors placed in two corners of the dark space. The sensors measured the space the room provided, while tracking my position within it. Strapping the rather heavy headset prototype to my head and taking hold of the two weird controllers (more on that soon), I figured out why pretty quickly. While in an infinite white room that immediately reminded me of the Matrix, I was able to freely walk around. The sense of enormity overwhelmed me, forcing me to forget that I was actually in a small, confined space in the back of an expo centre almost immediately. Walking forward a few steps, a wall of blue lines suddenly appeared in front of me – the Vive’s way of letting me know that I was about a step away from walking face first into a wall that would hurt rather badly outside of the virtual dream I was now fully engrossed in. That came in handy too, as I was plunged under the surface of the ocean and on board a wrecked vessel buried in colourful reef. The first of many “experiences” the Vive demo comprised of was one of the best, allowing me to passively observe the flowing fish and curious manta ray above my head. As a walked across the broken barge, a massive shadow fell on me. Looking up, I came face to face with a colossal blue whale – the sort of intimate experience a qualified scuba diver could only dream of. One that I was now experiencing inside a dry, safe room, all while feeling as though I wasn’t there at all. The experiences thereafter ranged from observing a tabletop war (something I think could easily be used for more surreal spectator sports like Dota) to painting colourful works of art in 3D space. The two controllers in my hands acted as digital extensions of them, much like Sony’s Morpheus and the Move Controllers. This not-yet-final designs feature a touchpad on the front and a trigger on the back – which allowed me to change colours while painting with a smooth scroll, or pick up items with the grip of the trigger. Setting into a virtual kitchen, another of the numerous demos I experienced, this extra layer of interaction just made it all the more real. Walking around my work station, I combined ingredients such as eggs, hot sauce and carrots to make a dish that I’m glad didn’t actually exist – especially since the carrots seemed hard enough to shatter the knife I attempted to cut them with. Again the Vive managed to completely lose me within its world, letting my fleeting mind wander into the kitchen rather than remind itself that this was, essentially, still a game. 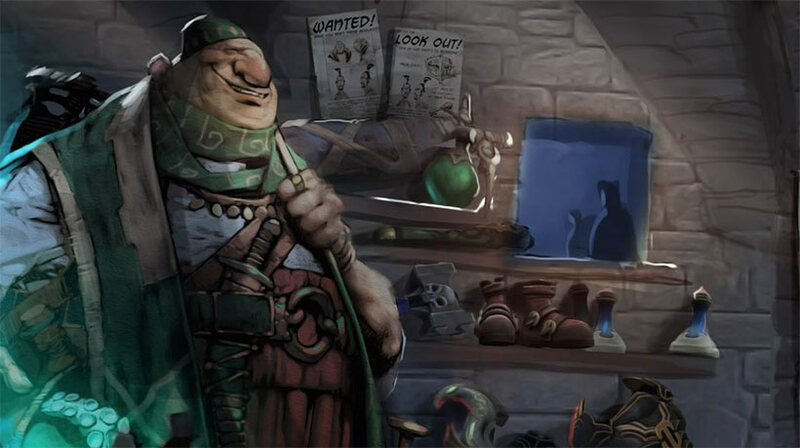 But nothing resonated quite as well with me than the final surprise of the demo – an intimate wandering around of the Secret Shop found in Dota 2. After a brief run in with the Shopkeeper, I was free to move around the small kiosk of magical goods, focusing in on some Tangos on a table, a miniature Aegis and some legendary Dota Hero weaponry. While doing this, a curious creature watched me from a corner, begging that I give it a little pet in my passing by. Something I did frequently, much to the odd little fellow’s delight. Marked around the shop were points that I could interact with, shrinking my view down drastically to get a better look at things (while blowing up the scale of the room tenfold). One of these encounters in particular took me onto a nearby table – after which I was rudely greeted by a spider coming up to my torso. Being utterly petrified of the creatures in real life, I immediately jumped back – uneased by the mere presence of the digital being as it scurried along in the opposite direction. And then it hit me. This is what I want virtual reality to be. This is what virtual reality should be. While I still truly love the idea of gaming experiences built from the ground up with virtual reality in mind (EVE: Valkyrie being a personal favourite), I really do believe that the true strength of this platform lies within interactive experiences rather than fully fledged, serious games. The Dota Store Demo, in amongst the other amazing ones I got to try beforehand, captured my imagination and attention completely. There wasn’t the world’s biggest gaming expo happening around me. There wasn’t a controller at the end of my hand. There was just me in a room being ransacked by Roshan, with my widening eyes looking up at the yellow pupils of terror getting closer and closer to me. Sure there’s still the issue of having immersion broken by some trailing cables (the controllers are wireless…the headset not so much), but Valve and HTC blew me away yesterday. There’s no doubt in my mind right now who is the frontrunner in this closing race, as the Vive looks set to launch well ahead of the competition by the end of the year. But I don’t want it for games just yet. Right now, I’d just give anything to visit the Storekeeper one more time. Next article WIN in our FANTASTIC 4 COMPETITION!